We are very happy to announce that Empa joined the hpc-ch community as a regular member. Empa is an interdisciplinary research and services institution for material sciences and technology development within the ETH Domain. Empa’s research and development activities are oriented to meeting the requirements of industry and the needs of our society, and link together applications-oriented research and the practical implementation of new ideas, science and industry, and science and society. Empa will be represented in hpc-ch by Daniele Passerone and Carlo Pignedoli both working for the theory and atomistic simulation of material group and running the Ipazia Compute Cluster. We asked Daniele about some background information of the use of HPC at Empa. Q: What is the relevance of HPC for Empa? The necessity of investing in HPC was recognized about 5 years ago with the creation of a group with the aim of deploying a local computational cluster. With gradual expansions and with the help of financial support from Empa and Eawag directors boards and departments, SNF and BAFU. The cluster has now reached its final size of about 100 nodes, where about 15 different laboratories from Empa and Eawag perform their calculations. Q: What kind of science are you doing using HPC? The simulations done at Empa cover different subjects belonging to Empa and Eawag research programs in nanotechnology, adaptive material systems, biocompatible systems, environmental and social research, novel energy technologies. Among others, our cluster hosts: ab initio simulations of surface-supported molecular nanostructures for designing new devices; granular matter simulations; atmospheric transport and chemistry; aircraft and railway noise models; climate change and water scarsity simulations; solid oxide fuel cells with finite elements; ab initio simulation of dye sensitized solar cells; novel catalysts and hydrogen storage materials; imaging of disordered and porous media. Q: What HPC systems are you operating? The system was built with the key assistance of Juerg Schächtelin of Empa’s informatics department. Q: What are your biggest concerns about HPC? Hardware + cluster administration is gradually passed to informatics departments, with 2 personnel units (one at 50%, the other one at 20%). 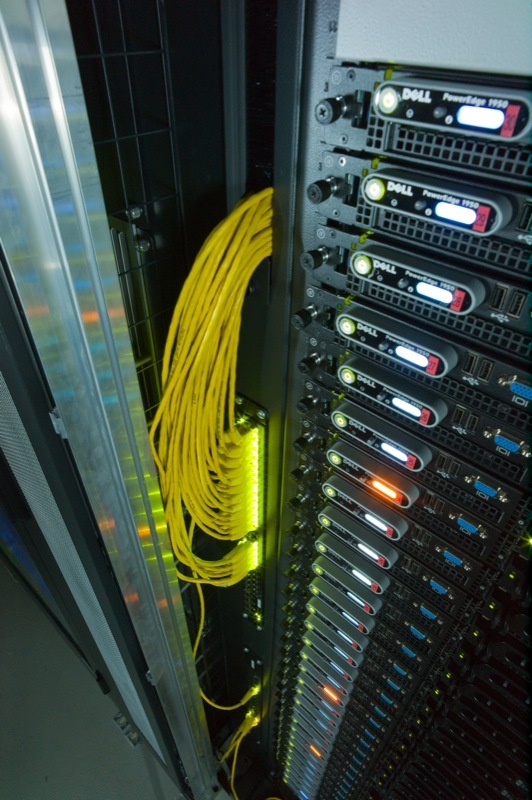 We also have a collaboration with CSCS that helped us to install and deploy the lustre filesystem on our new storage.